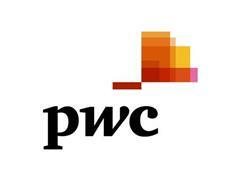 DAVOS, SWITZERLAND – 19 January 2016 – Dennis Nally, Chairman of PricewaterhouseCoopers International, presented some of the key findings of PwC's annual survey of business leaders from around the world at a press briefing in Davos, Switzerland. PwC's 19th Annual Global CEO Survey was conducted during the last quarter of 2015, with 1409 CEO respondents in 83 countries. Available video includes highlights from PwC's press briefing in Davos, interview clips and general footage of Davos.